Yes, it is true. In some states property taxes are assessed on passenger vehicles, an annual fee that sometimes takes newcomers by surprise. After all, you already paid a handsome sales tax on your 2011 Cadillac CTS V-Series, now this. But, just like the property taxes you pay on your home, the taxes you pay on your vehicle may be contested. 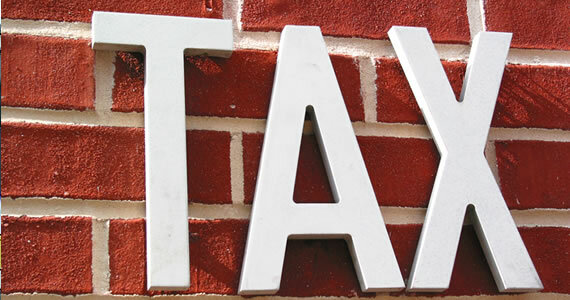 Read and we will look at how you can reduce your annual tax bit. There is no simple answer that you can give to explain what goes on in one state versus another state. Property taxes are set at the local level, therefore your particular state spells everything out. There are two types of property taxes out there: real property and personal property. Real property includes homes, land and other real estate. Personal property includes your passenger vehicle including minivans, sedan, SUV, pickup trucks and motorcycles. In some states personal property can include house trailers and boats, therefore your tax burden can come in higher. What you need to determine is how your state imposes its tax rate on vehicles, an amount that should drop year over year. For unlike real property that usually appreciates, cars and like conveyances usually lose value. The $62,000 you shelled out when your V-Series was new is far higher than its current worth which is no more than $39,000 today, reflecting two years of intense driving and 40,000 miles on the odometer. That estimate comes courtesy of Kelley Blue Book. And it could be just that book value where you have a leg to stand on with your state. You need to check your tax bill when it arrives and compare the value the state has assessed with its actual value. Your position is stronger if your state assesses vehicles based on its "true value in money" or what it would fetch if sold on the market. With some cars, a $10,000 difference in value is possible, spelling a tax differential of $100 to $200 or more. If you notice a difference in values, how should you respond? First, check your tax bill and read it carefully. On the back or on the side there should be information about filing a tax challenge or a link to a website that spells out that information. Second, follow your state’s precise procedure for filling a personal property tax appeal. Just like an appeal with real property, likely you have a narrow window to file one. Typically, that will be 30 and not more than 60 days after the tax notice has been sent out. If you miss the deadline, you may have to wait a full year to appeal. Expect that as you build your case, you will have to show proof of your vehicle’s condition and mileage. This may mean having your mechanic sign an odometer statement, verifying that your vehicle has gone far more miles than what the state estimates. Your state, of course, is the final arbitrator for all tax matters, therefore understand what is required for where you live and follow those instructions precisely. Jenny Sampson is a professional blogger that enjoys providing consumers with personal finance advice. She writes for TitleMax.biz, a leading Title Loan company offering loans for people with bad credit.